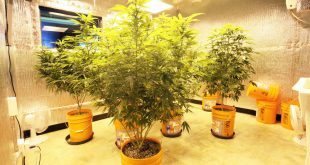 Home » Grow Blog » Drooping Cannabis Plant – What might be wrong? Drooping Cannabis Plant – What might be wrong? Is your Cannabis Plant Drooping? This may occur due to a few things. 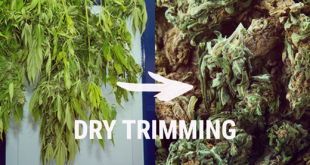 A cannabis plant does not get over-watered because it’s given too much water at once; overwatering is caused by the plant being watered too often, or if the plant does not have proper drainage, meaning that the growing medium is taking too long to dry out. 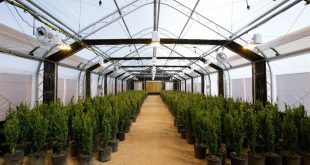 Growing hydroponically? When you see signs of wilting and overwatering in a plant that is growing hydroponic with the roots in water, it is usually a sign of a root problem, like root rot. All cannabis plants can display wilting/drooping symptoms and are actually the result of root issues. 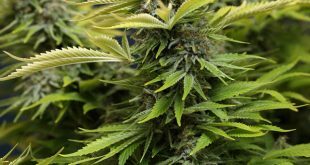 Don’t wait until leaves droop to water your potted cannabis plant. While it is generally a good idea to let your potted cannabis plant dry out after watering (watering too often causes its own problems), you should always water your cannabis plants again before the leaves start drooping. This is the case for cannabis plants that are grown in both soiless growing mediums and in soil. First-time growers tend to overwater their plants, but underwatering happens too. A thirsty, under-watered cannabis plant will usually perk up quickly after the roots are given water. Wait until the top of the growing medium is dry about an inch deep (up to your first knuckle). Another simple way to tell if a potted plant is ready to be watered is to pick it up and tell if it feels heavy or not. As plants use up all the water in their pot, it will get lighter. If you need something for comparison, you can get an extra pot and fill it with your growing medium. Now you can use this extra container for comparison with your potted plants as it represents the ‘dry weight’ of your growing medium. If you pick up a potted plant and its feels just slightly heavier than your dry pot, then you know it’s time to water your plant. After a while you get a feel for how heavy your plants need to be and you may not even need the extra pot anymore.